Russia Beyond The Headlines presents a new version of the original Balalike it! podcast dedicated to music from Russia. 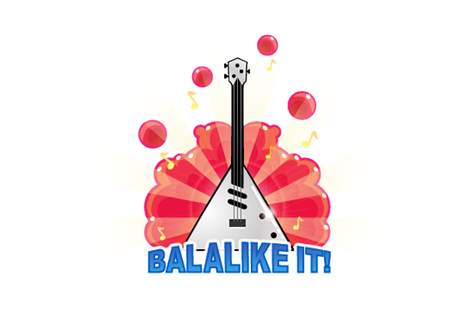 Russia Beyond The Headlines presents a new version of the original Balalike it! podcast dedicated to music from Russia. Now readers can find out about new music stars and Soviet classics in three ways. Going to rbth.com, subscribing to the podcast in iTunes, or by using the music social network, SoundCloud. Check out our new design, new hosts, new writers, new formats, and of course, the stars of our podcast, new musicians. Balalike it! will also be released for the first time in video format. Every two weeks, multimedia editors Pavel Gazdyuk and Vladimir Stakheev will publish videos about young, up-and-coming Russian musicians. Each edition will feature exclusive interviews and live performances. But we’re not saying good bye to our old format. A lot of exclusive original material like text-based reviews, overviews, and charts will alternate weeks with our video editions. You’ll get old school Balalike it! one week and our new video content the next. - reviews of music events, like concerts, festivals, and parties. If you want to find out more about the immense world of Russian music and dive in head first to understand what real Russian emotions sound like, listen and watch Balalike it! by subscribing and adding it to your playlist.